Chinmayi is an accomplished singer and voice artist who is also known to be an outspoken critic of sexism and misogyny present in the film industry. The vocalist had recently responded to the controversial statement of a film producer. The singer took to Twitter to post a video which showed noted film producer Rajan's speech at a public event in which he questioned the intent of those who accused lyricist Vairamuthu of misbehaviour and threatened to send goons in order to silence them if such statements are made. At the same event, noted director Pa. Ranjith countered the producer's speech by saying "We have to accept the fact that sexual exploitation is a problem that is still plaguing the film industry. When it comes to the statements put forth by Sri Reddy or any other woman in the industry, we should not look at them as mere accusations, rather these statements must be treated seriously with thorough investigation." 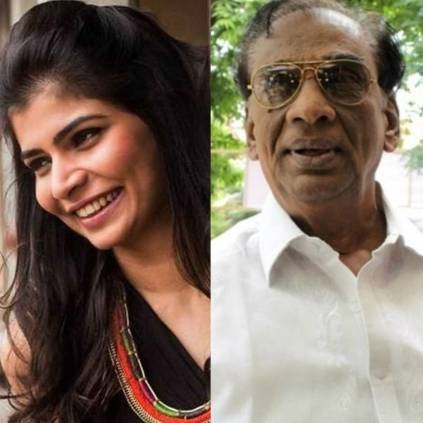 Complaint பண்றத விட்டுட்டு.. Paari Saalan Chinmayi-க்கு பதிலடி! People looking for online information on Chinmayi, Pa Ranjith will find this news story useful.